ACK Language and Orientation school is the oldest and most authentic Language school in Kenya. The school was established in 1965 by the church Missionary Society (CMS), of England for the benefit of denominations, voluntary agencies or bodies and individual persons wishing to take advantages of its facilities for language study, cross cultural training and all suitable form of orientation. 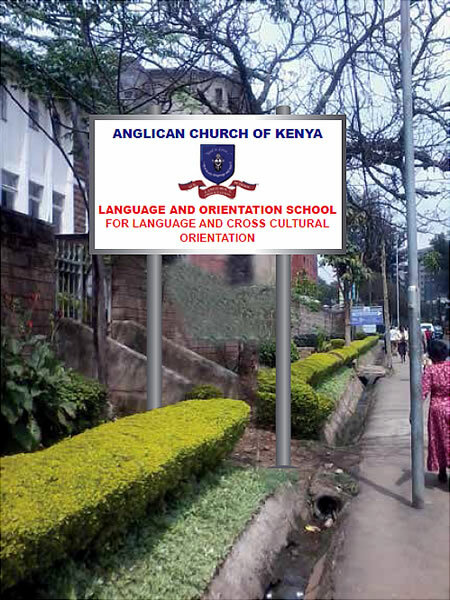 ACK language and orientation school is a language school superbly located in the center of Nairobi. We aim to be the best Language School in both Kenya and East and Central Africa region! Key to this is having some of the most talented and qualified staff you will find in any Language school and we take great care to make sure that is always the case. On top of this we have great support staff and this means we can offer you a service second to none in all aspects of your stay with us. Learning a language is not just about studying in the classroom however and that is why we make enormous efforts to give you as many possibilities to practice Language outside of classes and meet native speakers with a social programme that is a little different. If you want to learn a Language then ACK Language School is the place to be! 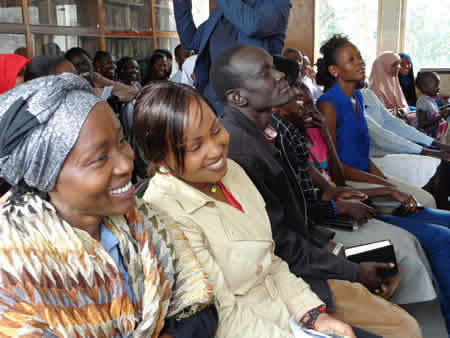 We offer a wide range of Language courses in Nairobi to from beginner to advanced stages. We prepare students for Pitman Examinations (in English), foreign university entrance exams such as TOEFL and Language Proficiency Exams. We are an accredited center for many foreign language examinations. We also offer vernacular courses which include Dholuo, Gikuyu, Kalenjin, Kamba, Kiluhya, Kimeru, Kitaita, Kiborana, Somali etc. You can elect to have individual /personalized /private tuition or learn in special groups. Students benefit from a curriculum developed from our experience and intensive tuition combining small class sizes and dynamic teaching, leading to fast progression and development of the language. We have a flexible learning programme to suit the convenience of our students. We can offer courses before, during and after office hours throughout the year and during semester breaks. In addition we have scheduled classes that are conducted in three semesters in a year. Each semester comprises of 14 weeks. Special courses ranging from one week to three months can be offered on request for individuals or groups. We have a flexible learning programme to suit the convenience of our students. We can offer courses before, during and after office hours throughout the year and during semester breaks. In addition we have scheduled classes that are conducted in three semesters in a year. Each semester comprises of 14 weeks. Special courses ranging from one week to three months can be offered on request for individuals or groups. Our students come from different countries, meaning you will communicate with your classmates from the same basic level. You will also learn about different cultures, broaden your perspectives and make lasting friendships as you practice and improve your language skills together!